Hello my name is Kiara aka Specialkaykayok. I am a young selfstarting beauty influncer. I also attended Paul Mitchell school’s, took theatre makeup classes. I love makeup and beauty so if you like what you see let me beautify your world. 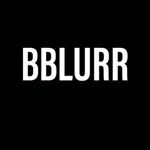 Demographic data for @bblurr_'s audience is available for free to influence.co users.